My blog is our family business. This is a business with very little overhead and no inventory to buy. My blog leads our family to wonderful destinations around the world and also gives me the opportunity to write and produce content for some of my favorite brands (and get compensated for it too). Don't get me wrong, you do have to devote time to your blog to make it successful, but anyone can make it as a blogger if you are willing to put in the work and you have a good plan. I absolutely love being a blogger and helping others start their own blogs so that they too can live the lives of their dreams. 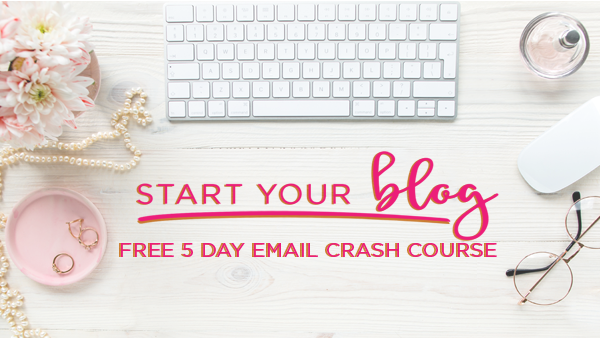 The design of the 5 day email course allows you to easily get your own blog started quickly and avoid some of the big mistakes that most new bloggers make! In five days (or sooner) you can have your own blog set up with no technical experience needed! As an added bonus, I run a private Facebook group of over 30,000+ members that I would love to have you join. It's packed with highly supportive people and great information for new bloggers (link is in Day 1 of the email course). Make sure to request access! If you have thought about starting your own blog, this email course is perfect for you! There's no catch either...it's completely FREE.